The prospect of starting a website or a blog can be very exciting, but the choice of hosting service can either make or break your blog or website. You need to have a vision of where you want your blog, business or website to go. The best choice for a start-up is VPS hosting that provides you with all the resources you need and also allows for future scalability. VPS hosting also known as Virtual Private Server that mimics the functions of dedicated hosting but within a shared hosting environment. This virtualized server is in essence both dedicated hosting and shared hosting. The technology used in VPS hosting is very similar to that used in Virtual Box and VMware. The programs allow a user to run different operating systems on one computer. For example your laptop could be running Linux but you can also run Windows 7 without having to restart it. VPS hosting provides a user with 100 percent root access to their environment such that, if the user needs a personalized software package installed in their machine, they can go ahead and do the installation without having to wait for the host provider to authenticate it. Shared hosting for example does not allow personalized installations since the servers are shared by a number of users who have to abide by the host’s requirements and regulations. VPS hosting provides individualized hosting meaning a user’s website performance and uptime stays stable compared to shared hosting which puts a large number of users on one server. This can negatively impact on business websites especially when their bandwidth needs increase. 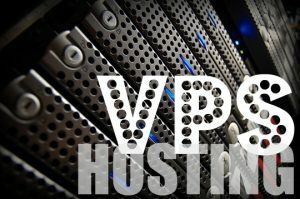 VPS hosting is cheaper compared to dedicated hosting and with the advancements in virtualization programs and technologies, we can expect the prices to go even lower. This makes VPS hosting an excellent option for small businesses and new websites that don’t have large bandwidth demands. The important thing is to look for a Virtual hosting who offers flexible management services that allow a user to make customized updates. Some websites are created in a way that does not factor in future variance in the traffic that comes in. though for some websites, this is not really a factor but for someone with a new website established in the hope of growing and attracting more traffic, the ability to scale it’s resources is very important. VPS hosting hosts a user’s account in a ‘container’ that is allocated a particular number of resources. This number depends on the VPS hosting you purchase. The great thing about this is once a user feels that their website needs more resources, the can easily scale higher to the next package. VPS hosting uses eco-friendly resources which have been gaining greater popularity in the recent past. VPS hosting allows users to reduce their carbon footprint in the world compared to dedicated server hosting which dedicates all resources to one server that is in turn used by only one user. If you are just starting your business or website, VPS hosting will meet all your basic needs and more. Give it a go by selecting a company that is best suited to your business and website needs.